In this episode, Dr. Caldicott addresses the growing anti-vaccine movement in the United States and across the world, and the claim that vaccines used to immunize children against infectious diseases can lead to autism - a claim she and her two guests contend has been proven fraudulent. 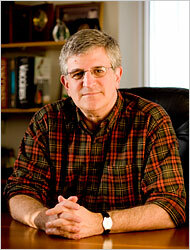 First, Caldicott speaks with pediatrician Paul Offit, M.D., a national expert on vaccines who has written a book in response to the anti-vaccine movement titled Autism’s False Prophets: Bad Science, Risky Medicine and the Search for a Cure, published by Columbia University Press in 2008.
by Robert F. Kennedy, Jr. in his article Deadly Immunity and in television interviews. Read the Newsweek article on Dr. Offit and the vaccine controversy, Stomping Through a Medical Minefield. Over the course of their conversation, Dr. Offit and Dr. Caldicott cover how the immune system functions, the overuse of antibiotics, the history of vaccines, how Dr. Offitt’s rotavirus vaccine is helping prevent many deaths in the Third World, the concept of herd immunity, and other aspects of the vaccine issue in layman’s terms. In describing his perspective on the real causes of autism, Dr. Offit mentions an article by James Sutcliffe, Ph.D., Insights into the Pathogenesis of Autism. Dr. Caldicott says she is deeply disturbed that more and more mothers are not immunizing their children, and points to the many terrible diseases that were eradicated because of vaccines. She says that most people now don’t realize what life was like before these immunizations were available. In the second half of the show, Dr. Caldicott delves deeper into the actual role of vaccines and the immune system with Australian expert Robert Booy, Professor of Pediatrics and Children’s Health, National Center for Immunization Research and Surveillance, Children’s Hospital Westmead at the University of Sydney in Australia. Professor Booy explains the role of T cells in the human body, then proceeds to answer a series of basic questions about childhood vaccines that concerned parents – particularly women of childbearing age – want answered, such as: Are all vaccines necessary? Are the viruses in vaccines alive? What is the difference between the virus in the vaccine and the virus in the disease? and How do we know vaccines might not cause cancer years later? Dr. Booy, in concert with Dr. Caldicott, makes a convincing case that the generally good health the affluent First World takes for granted is in large part due to vaccines which prevent epidemics of disease. He describes recent instances where communities stopped immunizing their children, and outbreaks of formerly contained diseases suddenly reappeared. Don’t miss this fascinating program! This entry was posted on Monday, April 6th, 2009 at 12:00 am	and is filed under Uncategorized. You can follow any responses to this entry through the RSS 2.0 feed. Both comments and pings are currently closed.